After 20 years of marriage (and almost 10 years of dating before that!) this couple sure has reason to celebrate. 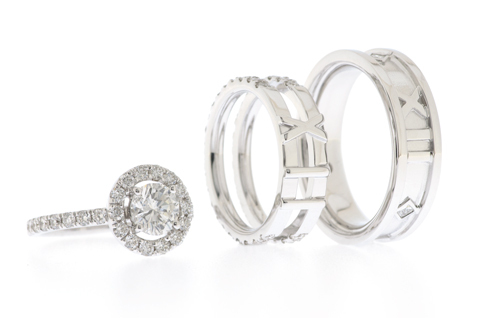 In order to make the Anniversary Rings, they chose to update some of their old jewellery. 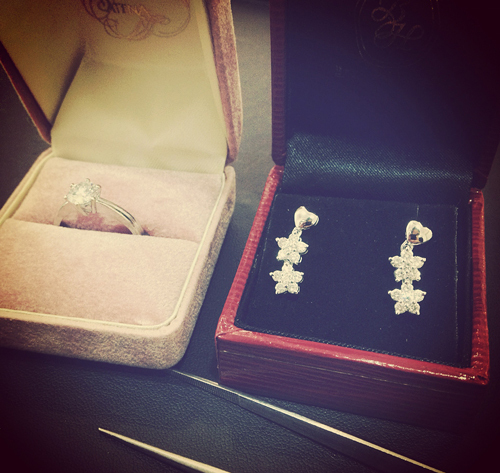 The 10-year Anniversary solitaire and a pair of Earrings that are no longer being used, are our starting point. Checking on the progress of the ring. We thought it was gorgeous even at this point! She wanted a ring that was grand but not too loud, so that she could wear it every day. 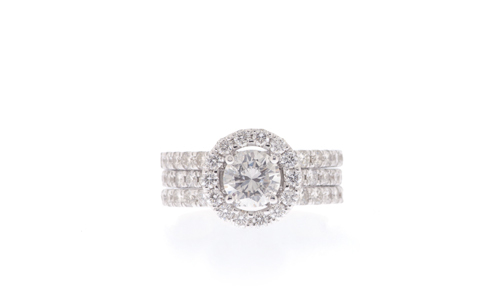 The result – a slim Diamond Ring that slots into a double-band casing, for a striking triple-band effect when worn together. The single ring slots into a double-band ring. 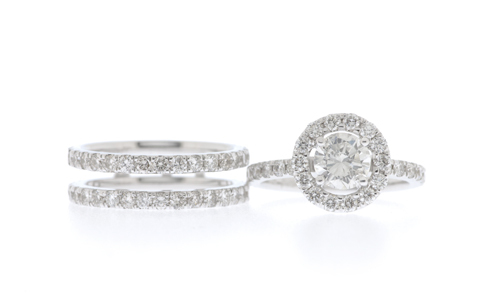 The two rings create a stunning triple-band effect when worn together. Since 12/12/12 was their anniversary date, twelve had a symbolic meaning in this pair of rings. Translated to Roman numerals, XII is found on both his and hers. 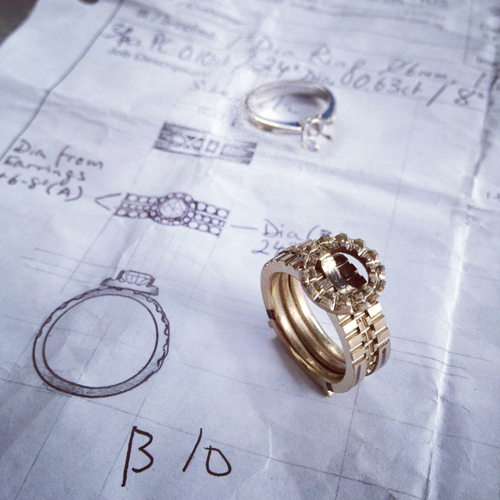 Sometimes, even a man who does not want bling, can be convinced to decorate his ring with some small Diamond detail. In this case, we used 3 Square Diamonds between each section of XII. beautiful rings to think they came from the old ones. are you the designer of these rings? Such a creative design of rings that you have.Normally I prefers eternity rings.Thanks for sharing this lovely collection with!! !